Here we tried to pick and showcase 25 Free Professional Business Card Designs of all time. Just go through and imagine how your own world should be. Psd file business card, front and back in one psd file. For private and commercial use. Here we have another Free Business Card Psd Templates calm and cool sky blue business card template for multi use and multi purpose businesses. Great debut and thanks for the PSD. A corporate business card template for free download. This elegant and retro business card design is ideal to make your company presence outshine the competition. Subtle typography and traced line details make this business card template unique. Great design & really nice fade using purple to blue – just the sort of inspiration I was looking for for a new website I’m working on with a purple color-scheme. A zip file with two psd files with landscape and portrait options. This freebie is made available by creativemarket and can be used for personal purposes. A corporate business card template for free download. The multiple layers are easy to edit to alter text, images in photoshop. 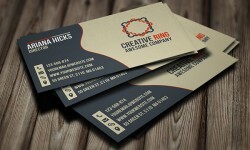 Download Free Corporate Business Card PSD Vol-1. This smart and high quality Red Creative Corporate business card template can used for all purpose Corporate or personal. can edit the text or colors with one click & easily. A next generation card for your modern venture with no compromise in quality or design. A colorful unique corporate business card template. This modern style business card can be easily changed to any company color codes. Make your presence noticed out there. A simple photography card with vertical contact information. A humble business card with a cool 3d shadow effect on both front and back sides. Standard dimension for business card in 3.5” x 2” size and CMYK print ready format. 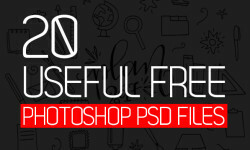 A fully layered front and back psd files is available with this free download. PSD file (for print) for personal or commercial use. This business card is suitable for your office and for people who have a small business organization, who would like to showcase their portfolio and address. With a clean and simple layout, this design is highly recommended for corporate usage. The used of bright orange with black and white background compliments the modern design of this template. If you are running a company or you have a small business, your first step will be to print stationary stuff for your company, specially a business card. Because it is the first thing that you would like to handover to your customers. Great psd business card for flower shop or florist which is print ready. Black and white corporate business card templates with QR code. This clean and stylish corporate design can be used as business card or personal card. The template is fully layered and instruction on generating QR code can be found in the readme file. A one of a kind template with a creative modern tab design, featuring contrasting blend of black, white and peachy pink. Need a different color? No worries, this is a fully editable template. Works perfectly fine for most types of business industries, even as a personal card too.